Ralph lives outside Springfield, MO. His lovely wife Gretchen, age 91, just passed away this past Friday, November 14, 2008. Ralph is one of those rare artists who carve stone, and his 6 acre art environment is a joy to walk through. 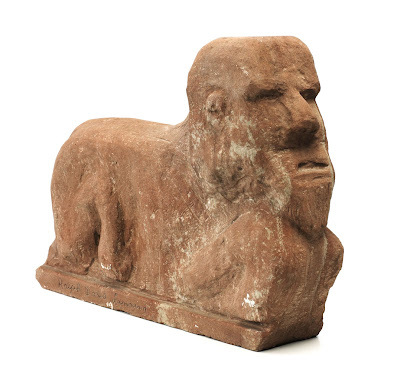 This sphinx has a wonderful mysterious appeal, something you just don't see anymore unless maybe you are perusing Pre-Columbian or ancient art at a museum.